A swashbuckling vampire hunter? Sign us up. 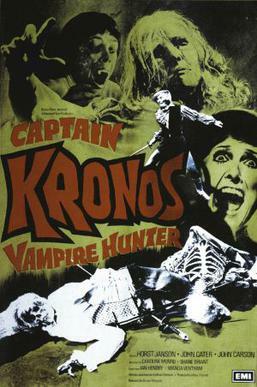 Check out Captain Kronos, a late-era Hammer Horror production that is heaps of fun and well worth a look. Directed by Brian Clemens (best known for the 60s Brit spy series The Avengers), it co-stars Caroline Munro, the lovely and talented star of Starcrash and Maniac. The tale upends what we’re usually used to seeing in the vampire genre. And because it’s Hammer, it’s lushly ornate. Captain Kronos, a movie that came out when Hammer’s influence was on the wane, is all sorts of entertaining. Find out why in this episode of the podcast.